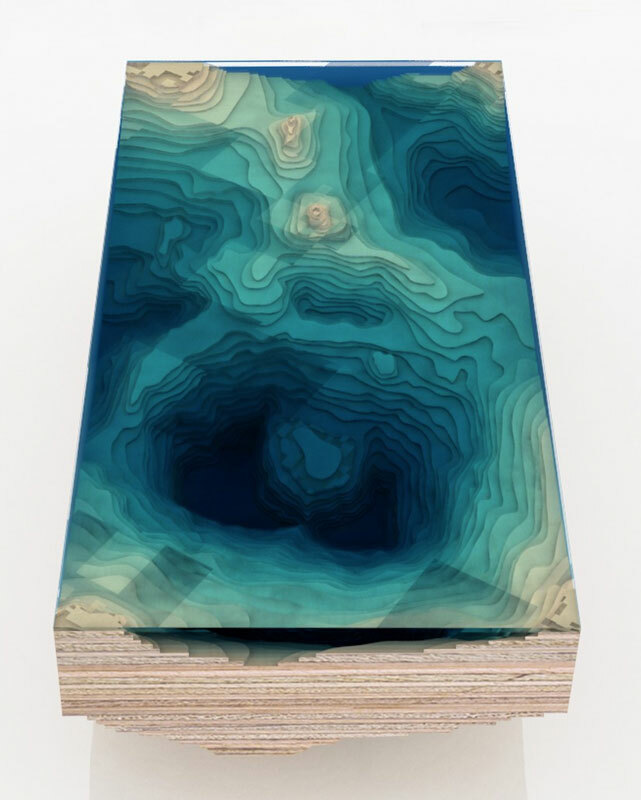 I don't know if falling onto Duffy London's forthcoming oceanic cross-section coffee table will send you into The Abyss, but I can almost guarantee running into it will stub all of your toes and bloody your entire leg from the knee down. That's about 14* square feet of furniture lined with nothing but glass and jagged wood. 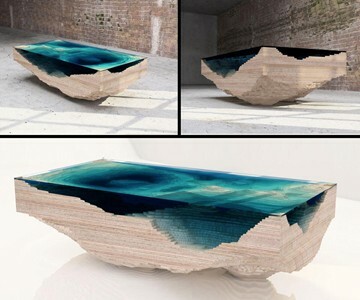 I guess the ocean is as wicked as she is beautiful in designer home decor form too. Duffy is known for creating centerpiece furniture--see Inner Wolf Chair, Swing Table--and The Abyss is no exception. Focusing on both literal and artistic depth, the table took about a year to design through experiments with sculpted glass, Perspex, and wood. 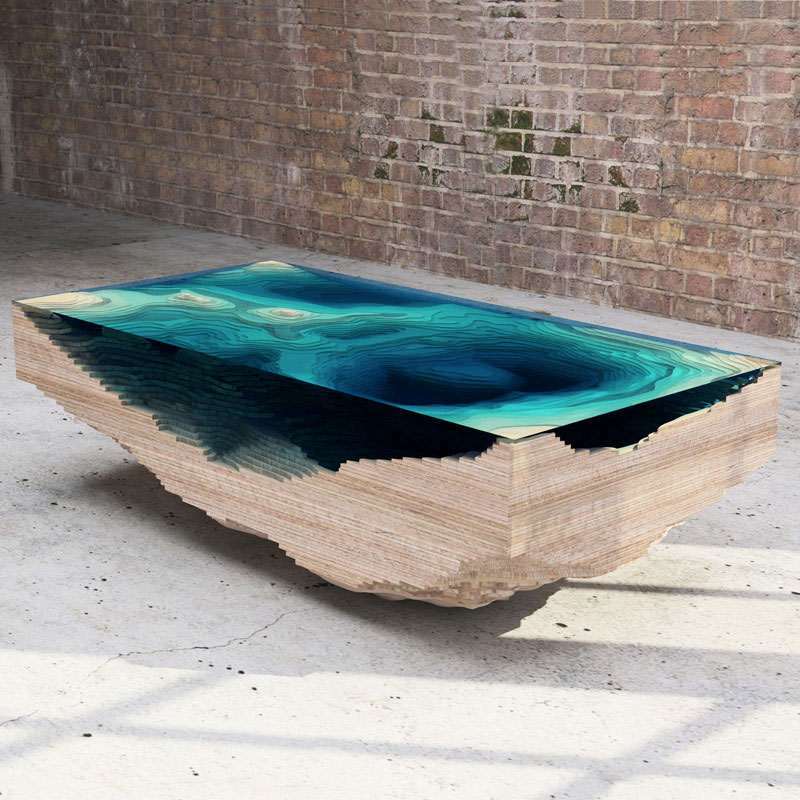 The finished product intermingles glass and high-grade, sustainable wood into an arrangement hypnotizing as a piece of art and believable as a geological cross-section of the sea. And also allegedly usable as a coffee table. Expected to ship in Fall 2014, The Abyss table will be limited to an edition of 25. Measurements are 63" long x 31-1/2" wide x 18" tall. *Muchas danke to B.G. Paulus for doing the math correctly.